The clarion call of the content marketing age has been sounded, and it is ringing out for producers, copywriters, designers, editors, content strategists, and public relations pros alike — all the talented individuals that quite literally “make” the internet. Marketers of the world want and need them yesterday, with a flexible attitude and (preferably) an immediate availability. In a study conducted by Content Marketing Institute and MarketingProfs, 1,217 marketers were asked how they would allocate content marketing dollars in 2014. Forty-eight percent of all respondents said they would increase their budgets, 32 percent said they would stay the course, and 10 percent said they would be increasing budgets significantly. In other words, 90 percent of marketers recognize the need to produce a lot of exceptional content right now. 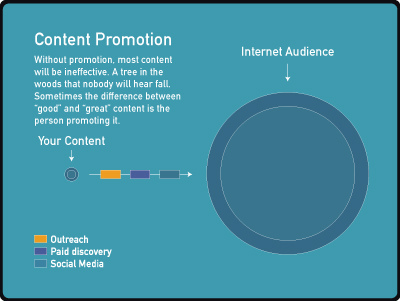 And this need is all for a very good reason: because content marketing is an extremely effective tactic for engaging consumers. However, the void between what most marketers want and what they are capable of executing on is still expansive when it comes to content marketing. In spite of an overwhelming majority of marketers saying they are going to commit to content in 2014, comparatively few seem to have in-house content marketing departments that can be held personally accountable for meeting this demand. That doesn’t make sense to me. As a practice, marketing through brand storytelling was essentially established in the United States during the pre-Revolutionary War era by innovative writers and thinkers like Benjamin Franklin and Thomas Paine, brought to early 19th century fruition by the likes of John Deere, and nurtured into the 20th century by the likes of Doctor Seuss and David Ogilvy. Want to view a compelling example of one the most “viral” infographics made in the past three centuries? Take a long gander at the American flag. 50 stars. 13 stripes. Boom! A visual content example designed to sell the story of a nation. 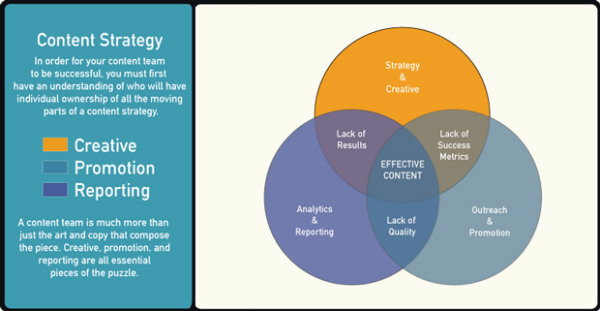 Add to that fact that content marketing is almost the oldest and most effective form of marketing that has ever existed, and it should fully boggle any self-respecting marketer’s mind that so few businesses employ “content teams” to execute and deliver on this new/old strategy of sales. Make sure they have an ample supply of donuts and coffee (or goji berries and kombucha… whatever they prefer) to fuel their creative output. Stay the heck out of their way: They’re making vital things happen! Additionally, one or two people on the team who know their way around data visualization is not a bad asset to have at your disposal*. 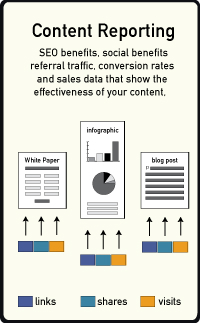 The ability to add a compelling visual layer to figures, facts, and stats can go a long way toward making your content stand out from the competition’s, so try to add a data master to your team, if at all possible. Another essential element of an effective strategy–creative dynamic is having a good editor on board. At the very least you should have a talented copywriter with a mastery of grammar who can pull double duty for a while. Quality and consistency should each be a top concern for every content marketing piece you put out there, and a good editor will ensure your work meets the mark on both fronts. Every PR professional understands that the make-or-break factor that governs whether your content will be consumed or discarded is its potential to reach the right pair of eyeballs. Organic mass consumption (otherwise known as “organic virality”) is wonderful, but when considering the size and scope of the online audience, such exposure happening naturally is about as rare as Bigfoot riding a unicorn while wearing a pair of Air Jordan 6+ Olympics (well, maybe not that rare, but, pretty darn rare). So you will want to get yourself a die-hard internet outreach fanatic, hand them some exceptional content, and empower them to work their magic and get it in front of the right sets of eyes. Some cheap tools that can better enable their success include Followerwonk for Twitter influencer identification, and Toutapp for email outreach (think a “light” version of Salesforce). And, if you’ve got the budget, Group High and Cision help them gain access to some of the most influential folks online. There are so many moving parts working at once in a content campaign that it is just a fact of the matter that opportunities will be missed. For example, let’s say your web developers forgot to consult the SEO department before creating a landing page. As a result, your content was published on a microsite instead of on a sub-directory folder (or at least a sub-domain) of the root domain, and this kept you from taking full advantage of inbound link power. These things happen all the time, but it is the job of the analytics department to identify these strategy gaps, and help you turn them into benefits the next time around. 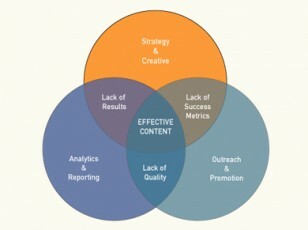 The ability to accurately convey the value of a content campaign is a specialized skill. Where most people might just see engaging content, the reporting team sees things like outlying data points, social share metrics, and increases in share of voice. An analytics expert can then derive insights from these data that can be woven into actionable opportunities for optimization. Having team members who are hyper-cognizant of the need to prove and measure content marketing return on investment is something your content marketing efforts simply can’t do without. The internet is only going to get larger, and audiences and consumers will continue to get savvier when it comes to tuning out advertising and ignoring banner ads. Global internet use is predicted to reach 3 billion by the end of 2014, and the scope and reach of that broadband connection is only going to expand. This rapid growth in the number of internet users translates into a pressing need for a lot of content — and a lot of content marketers to create it. Make sure you have the right team and the right talent in place to meet the demand of your content-hungry audience. *Speaking of data visualization, all the graphs used here were taken from The Quest for Great Content — an infographic my team created, based on the many data points discussed in this post. Looking for more advice on how to organize your content marketing team for optimal collaboration and productivity? Read CMI’s eBook:Building the Perfect Content Marketing Mix: Internal Processes and Content Marketing Strategy Tactics.